A Legacy Room was created for the Canada C3 Expedition as an intentional and safe space to discuss reconciliation and reconcili-ACTION. The Legacy Room idea was conceived by Nova Scotia Assembly of First Nations (AFN) Regional Chief Morley Googoo, who partnered with the Gord Downie & Chanie Wenjack Fund to create this national call to action to organizations to create space for reconciliation. 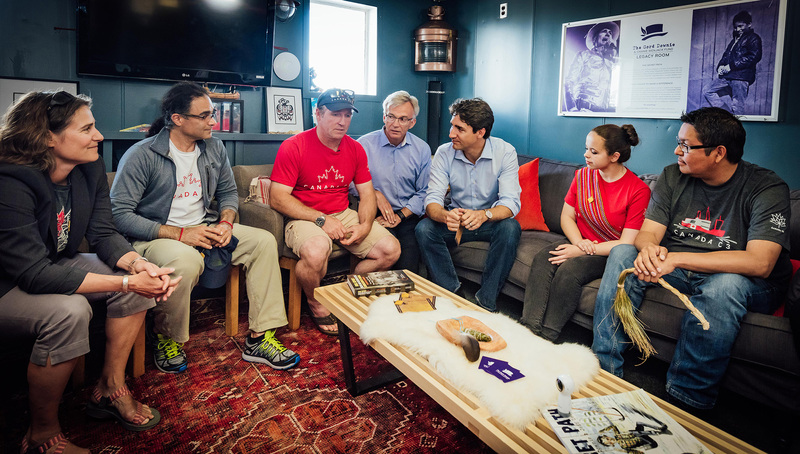 “When you first enter the ship, the first room you notice is the Legacy Room – it is a room for prayer and ceremony sponsored by Gord Downie in honour of Chanie Wenjack who tragically fled the Cecilia Jeffrey Residential School, where the offices of Grand Council Treaty #3 are currently located. It’s a beautiful and peaceful place where I will spend a lot of my time during this expedition. 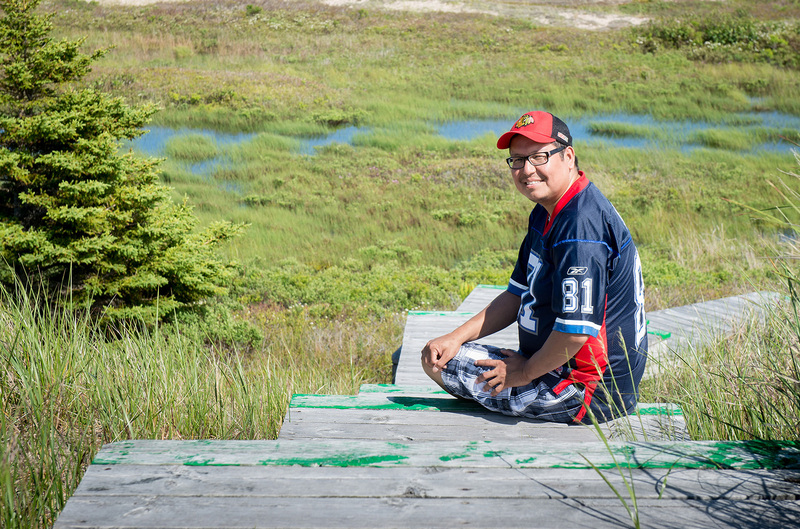 One of the themes of this expedition is reconciliation and I have expressed that I am currently on my own personal journey of reconciliation trying to overcome addiction and the pain and trauma of residential schools that my family has suffered. But I am not alone. I first heard from Mélanie-Rose Frappier, a bright articulate 20 year-old Métis Nation Laurentian University student who was very skeptical of participating on this voyage given Canada’s shameful treatment of Indigenous Peoples in its 150 year old history. I also met former APTN reporter Ossie Michelin who is also having a difficult time celebrating – and expressed his anger at Canada for the damage that hydro projects have recently inflicted on his community’s traditional homelands and way of life. But after a couple days on the ship, Ossie mentioned that he wished that all Canadians – particularly our governments – were as open and welcoming as the Canadians on this ship. This morning I met Aryn Lesage, a young Ojibway woman, who spent National Aboriginal Day yesterday exchanging language and traditional teachings with a Muslim participant who immigrated from Indonesia, Khairunnisa (Inda) Intiar. She was overcome with emotion when learning about the beauty of Indigenous Peoples in Canada and learning about our tragic history. Lastly, I met Nancy Breton today, a francophone woman who works with Inuk Youth in the education system to help them find their identity, language and culture. She is also recently finding pride in her Huron Wendat roots after spending most of her life being taught to be ashamed of her Indigenous ancestry. Something beautiful is happening on this ship and after a few years in the darkness of addiction, I am once again starting to see the potential and beauty of human beings.